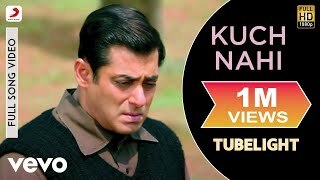 Kuch Nahi Lyrics from Tubelight starring Salman Khan and Sohail Khan. This is another beautiful emotional song composed by Pritam and written by Amitabh Bhattacharya. 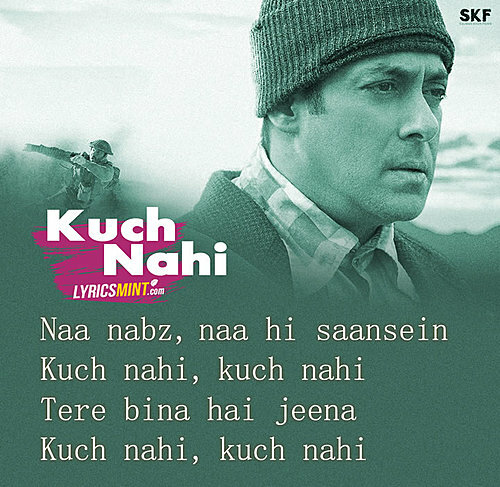 The song has three versions – the main version is sung by Javed Ali, Kuch Nahi (Reprised) is sung by Shafqat Amanat Ali and then there is Kuch Nahi (Encore version) which is sung by Papon.